The Portland Timbers' 2018 season ended just short of a championship, but there should be no shortage of optimism after Giovanni Savarese's first year as a MLS coach. Through a challenging start, a 15-game unbeaten run and a rocky late summer that kept a playoff berth in doubt, we learned Savarese is not afraid to change course. That was clear in the variety of formations he tried and in the way he adjusted to keep important players rested. He agreed to part with the club's one proven striker, Fanendo Adi. Savarese then turned to 21-year-old Jeremy Ebobisse, whose maturation was a highlight of the season, instead of the more-experienced Samuel Armenteros. And, Savarese got commitment from Liam Ridgewell after a slow start for the former team captain. Now comes shaping the 2019 roster — which began this week with the signing of defender Zarek Valentin to a new contract and the promotion of promising midfielders Marvin Loria and Renzo Zambrano from Timbers 2. A year ago, general manager Gavin Wilkinson's first priority was finding the right coach. This winter, Wilkinson can focus on finding a striker to push Ebobisse, among other priorities. Having Savarese on board for a year will influence and assist that process. The six weeks before training camp could tell us even more about Savarese's vision than we learned this season. • Goalkeeper Jake Gleeson's run in Portland has ended. Gleeson, 28, came in 2010 and helped the Timbers' under-23 team to an unbeaten season and Premier Development League championship. Gleeson started the first MLS home match in team history. After making 47 starts the previous two seasons, he made six in an injury-shortened 2018. Diego Chara, who made his first appearance in April 2011, is the one remaining player from Portland's first MLS season. • Atlanta United's investments — paying record fees to acquire young international talent, hiring an internationally successful coach (Gerardo Martino) and building state-of-the-art facilities — were rewarded with Saturday's 2-0 win over Portland in the title game. The current narrative is that owner Arthur Blank's bold approach will speed up the MLS push toward more relevance in America and beyond. But as the league continues to expand — to at least 28 teams in the near future — it remains to be seen if clubs without Blank's deep pockets can compete. • Portland was the fourth No. 5 seed to reach the MLS Cup final (San Jose, in 2001, is the only fifth seed to win). The road soon might get tougher for lower-seeded teams. Indications are the league will do away with two-leg series and turn its conference semifinals and finals into one-game affairs hosted, like MLS Cup, by the team with the best regular-season record. Commissioner Don Garber says he expects the board of directors to discuss the format this week. He says it is "really going to place a really, really high emphasis, strong emphasis, on our regular season." Under a one-game playoff this season, the Timbers would have faced a more daunting road to the final, one without a home match. 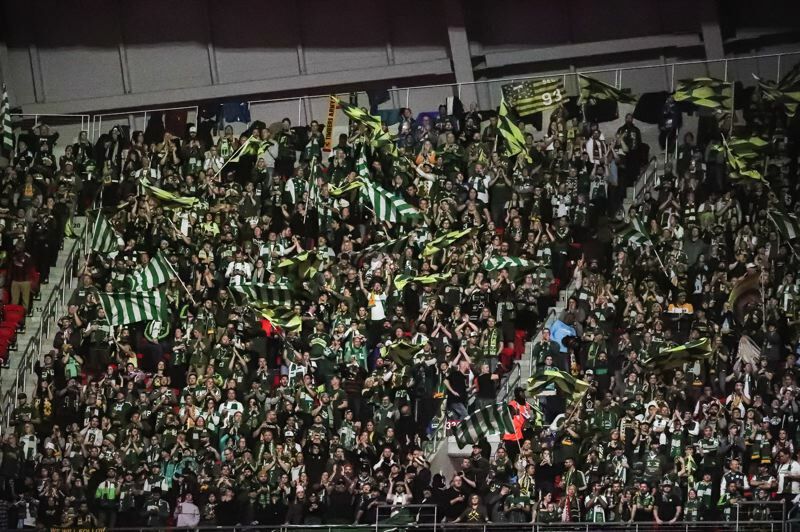 As much fun as this Timbers' run was for supporters, raising the significance of the eight-month regular season would be a step in the right direction.